No one knew exactly when the new 2020 Corolla would be unveiled or what it would look like. 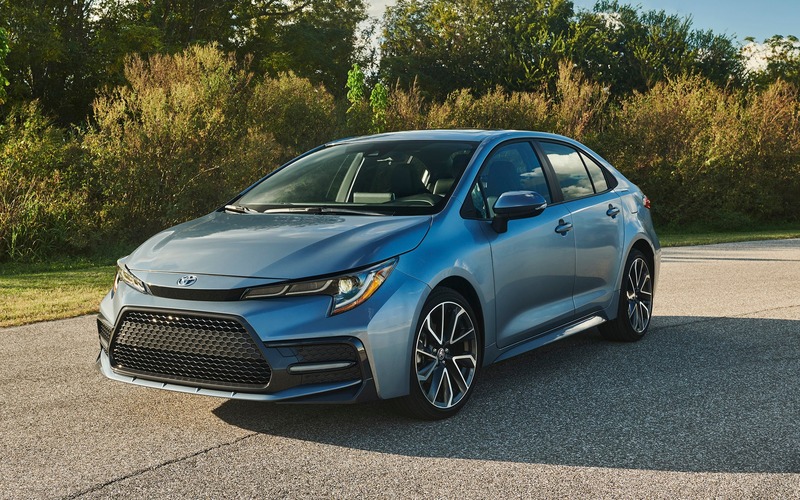 But after the Corolla hatchback was released earlier this year, it became clear that the sedan was going to be seriously revamped. Even though the 2020 Corolla was just unveiled at Auto Guangzhou, a select group of Canadian journalists—including us—was given the chance to see it up close during the launch of the 2019 Toyota RAV4 held in California last week. They swore us to secrecy about it, until now. Both the sedan and its hatchback sister are part of the 12th generation of this model, which was first introduced in 1966. Like the more recent RAV4, Camry and Corolla hatchback, the sedan is built on the TNGA platform. Its chassis is 60% more rigid than the current Corolla, which is now rounding the corner on its final lap. The same 1.8-litre four-cylinder engine found in the previous gen will be used for the 2020 Corolla L, LE and XLE. However, Toyota has promised that this mill will offer more power and better fuel economy. The XSE and SE will be powered by a 2.0-litre four-cylinder engine that delivers 169 horsepower and 151 lb.-ft. of torque. Since Toyota still believes that drivers should be able to shift gears on their own, there’s a six-speed manual transmission in addition to a continuously variable transmission. The Japanese manufacturer also takes safety seriously and will be including the Toyota Safety Sense 2.0 system in the 2020 Corolla. It uses a sensor and camera to reduce the vehicle’s risk of hitting another car, pedestrian or cyclist. All versions of the new Corolla will come with the Entune 3.0 app suite, which is compatible with Apple CarPlay. Unfortunately, the same can’t be said for Android Auto. This model should roll into Canada dealerships in March. Keep an eye out for it! Montreal The 2020 Toyota Supra Unveiled in Montreal!